After the United States announced cutting all aid to the United Nations Relief and Words Agency (UNRWA), the Palestinian Authority (P.A.) said it is weighing all options to counter the American move, including heading to the United Nations General Assembly and the Security Council. Palestinian Presidency spokesperson, Nabil Abu Rodeina, said the P.A is trying to prevent a serious disaster and escalation, due to the hostile U.S. policies towards the Palestinians and their internationally guaranteed rights. He added that the UNRWA was founded under a direct resolution of the Security Council in 1949, to provided relief and support to the Palestinian refugees until a just, and a comprehensive resolution is reached. 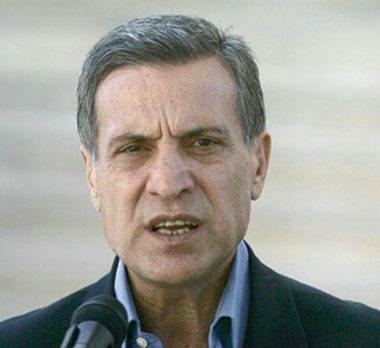 Abu Rodeina also stated that Israel continues to ignore numerous resolutions by the UN and the Security Council, and has always been backed by the United States, but the current White House administration is taking very serious hostile polices against the legitimate Palestinian rights, and is directly targeting the refugees. The Palestinian official stated that President Mahmoud Abbas will be delivering a speech at the General Assembly this month, and will focus on essential issues, including the refugees and occupied Jerusalem. Abu Rodeina also said that the U.S. policies violate all related resolutions, and require a firm international response to prevent the region from sliding into a very serious wave of escalation, and destruction.